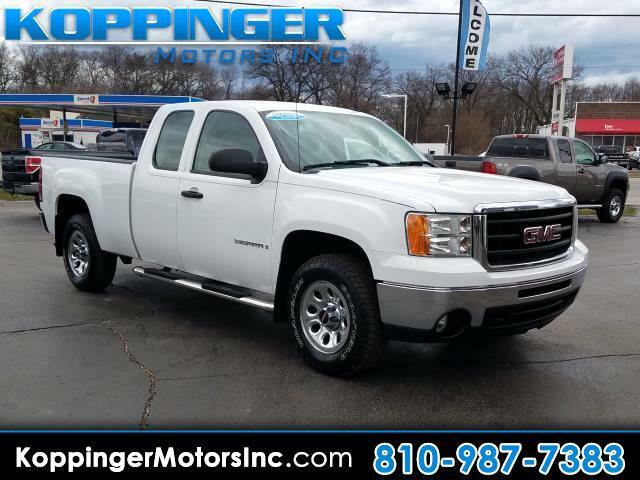 Used 2009 GMC Sierra 1500 2WD Ext Cab 134.0" Work Truck *Ltd Avail* for Sale in Fort Gratiot MI 48059 Koppinger Motors Inc.
With a mix of style and luxury, you'll be excited to jump into this 2009 GMC Sierra 1500 every morning. This Sierra 1500 has 111270 miles, and it has plenty more to go with you behind the wheel. Its sensibility is matched by a spread of extra features, which include: mp3 audio input,power locks,power windows and side steps We always appreciate your business at Koppinger Motors. We are eager to move tis vehicle so the time is now, come visit us today.